VietPress USA (Feb. 13, 2018): President Trump on Monday released his proposed budget that will cut off or tighten some basic social programs such as Food Stamp, Housing assistance. Trump policy is that "If you're able-bodied and want benefits, you have to work". It means that if anybody who has alive body, must work. Trump asks the work requirements to those Food Stamp and Housing programs. Last month, Trump administration announced a decision to allow States to impose work requirements for Medicaid. Kentucky is the first state that didn't accept and 10 other States have asked to roll out too. The poor will be poorer..
ASHINGTON (AP) — The Trump administration in recent months has made its stance clear on public assistance and welfare programs: If you're able-bodied and want benefits, you have to work. 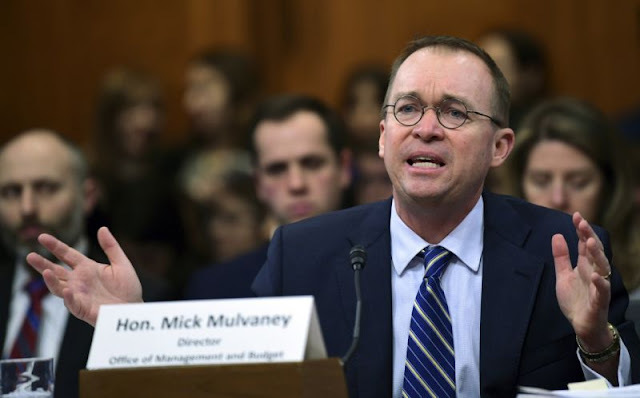 President Donald Trump's proposed budget, released Monday, makes reference to legislative reforms to programs like food stamps and housing assistance that include adding or tightening work requirements. 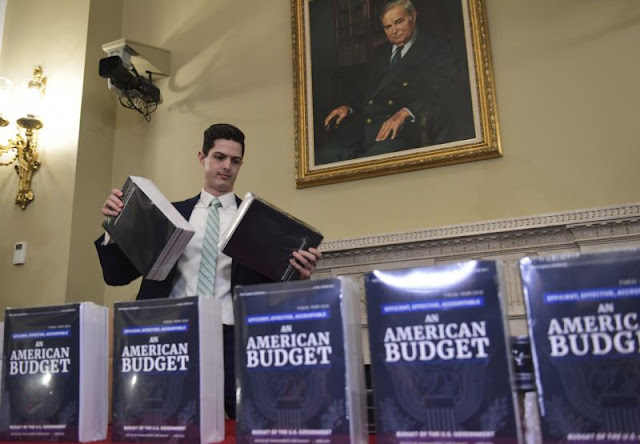 Simultaneously, the budget calls for deep cuts to those programs, significantly shrinking the overall spending for the Department of Housing and Urban Development and slashing funding for food stamps, officially called the Supplemental Nutrition Assistance Program. "When you get a job, that's not the end of the story, that's often where the story begins," said Heather Hahn, senior fellow in the Center for Labor, Human Services and Population at the Urban Institute. "Often there's a revolving door of low-wage, unstable work, and the public safety net serves as a form of unemployment insurance for people in those situations. The reality is, low-wage work is increasingly unstable and unpredictable, and doesn't allow people to support their families without the help of supports like Medicaid and SNAP." A requirement that able-bodied adults who want to receive SNAP benefits for more than three months at a time must work in some capacity isn't new. But the recent budget proposal tightens some of those rules by raising the age limit for recipients who are exempt from the work requirement and restricting the ability of states to offer waivers. The budget also includes cutting SNAP funding by roughly $213 billion, or 30 percent, over the next 10 years. "They're cuts," Dean said. "There would be no circumstance under which a childless adult can't work 20 hours a week. Imagine someone leaving prison with a felony conviction on their record; they might find it more difficult to find steady employment than someone else." Trump's budget also references a plan to require tenants receiving rental assistance to work. The budget line says only that the administration wants to push forward reforms "to encourage work and self-sufficiency across its core rental assistance programs" and that the reforms "require able-bodied individuals to shoulder more of their housing costs and provide an incentive to increase their earnings, while mitigating rent increases for the elderly and people with disabilities." Such requirements could have dire consequences for those already experiencing barriers to finding, and keeping, a job. Single mothers who can't afford child care, people who lack access to transportation, and those who suffer from mental illness or other "invisible disabilities" are likely to suffer the most, said Sarah Mickelson, director of public policy at the National Low Income Housing Coalition. "It would impose these work requirements without any resources that connect people with well-paying jobs and the skill sets they need," she said. "The real effect is that it would do very little to create the source of job opportunities people need to lift themselves out of poverty. Instead it punishes people by taking away their housing assistance that make it possible for them to work in the first place."